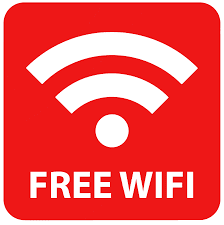 Using free Wi-Fi from public and private networks might not be free in the long run. Companies like McDonald's, Burger King and Starbucks offer free Wi-Fi connection to offer you more products, discounts and deals on their networks while you visit their stores. It's the latest viral social media trend called "Social Wi-Fi". A marketing strategy companies use when you open your social media accounts while signed into their Wi-Fi network. According to Business Insider "As many as 62% of businesses report that customers spend more time in their facility when Wi-Fi is offered. And when they're there longer, they'll likely encourage their friends and family to spend more time at your business, too." Which suggest that some stores like The Apple Store offer free Wi-Fi connection to keep you in the store longer with hopes that you buy more products and spend more money. Then there are companies like the Marriott Hotels who offer free Wi-Fi connection to distract you from long lines and crowd control. Social Wi-Fi marketing is a viral social media trend online, social wifi hotspot is used by millions of people every day, a social wifi router is used to transmit the signal. 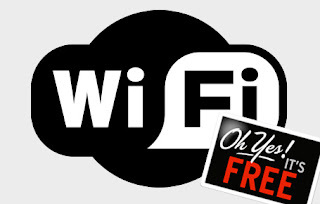 Wi-Fi marketing is when companies use the free Wi-Fi connection to market their products to costumers. Social Wi-Fi resellers sell your information to companies in exchange for cash. But what you don't know is that most companies use the free Wi-Fi services to store your information and sell it to other companies through affiliate marketing programs. Social WiFi is interesting, innovative, and, for some businesses, potentially profitable. But for customers, this Wi-Fi may come at too high a price." According to Computing Network. Which supports the findings that they also use your information to track you down.